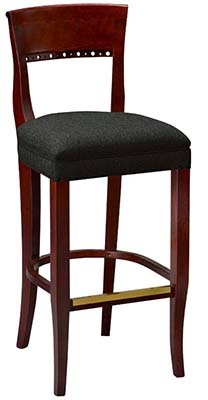 This bar stool with a will bring a classically elegant style to your restaurant, bar, or club. Wood frame available in Mahogany, Walnut, Cherry, or Natural finish. Dimensions: 19" x 19" x 45"